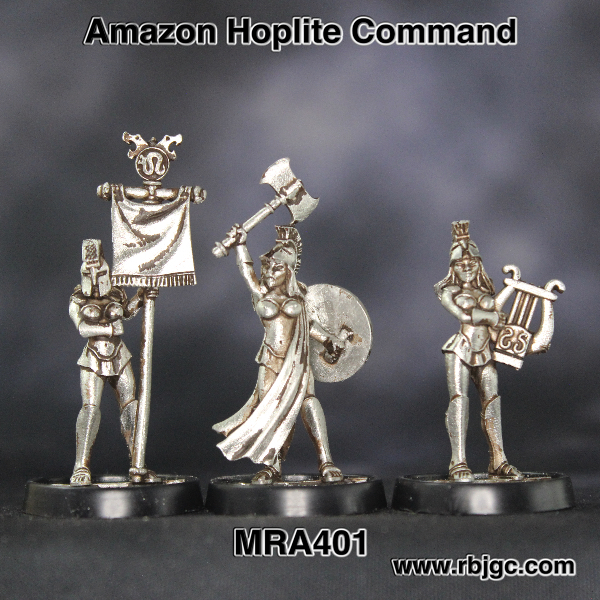 1 Amazon Hoplite Commander with Axe. 1 Amazon Musician with Lyre. Supplied With Three Plastic 25mm Round Slotted Bases.